The festival lanterns hang, a promise of beautiful blooms to come. These paper lanterns are a common sight at festivals in Japan. 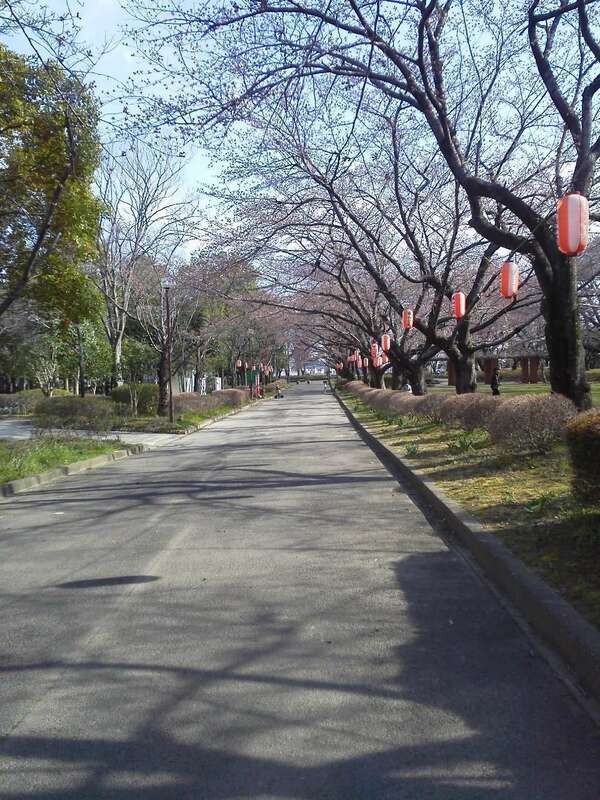 Shiroyama park in Okegawa has hung these lanterns for the cherry blossoms, which are set to bloom any day now. It is a long practiced and much revered tradition to picnic under the cherry blossom trees in Japan.